Today’s recipe is a guest post from the amazing Louise Hendon of Paleo Flourish Magazine. Louise started a low carb diet during law school to lose weight. However, she soon discovered that losing weight was just one of the many benefits of a low carb and real food lifestyle. She especially loves all the extra energy she now has – and she uses it to enjoy life through traveling, cooking, reading, and sharing her knowledge. She co-founded Paleo Flourish Magazine several years ago and she is also the author of The Essential Keto Cookbook. Follow her around the web here – Facebook, Pinterest or Instagram. 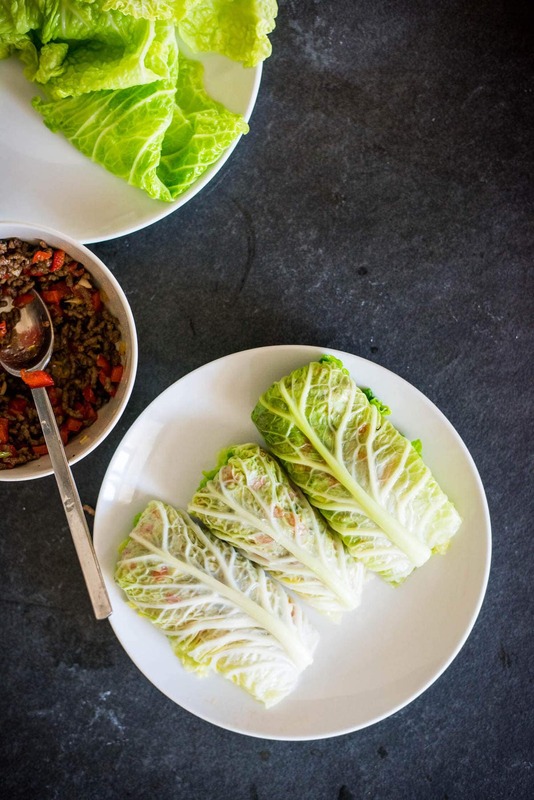 From Louise: These cumin spiced beef wraps are really easy and quick to make. And to make it even simpler, you can omit the cabbage wraps and just enjoy the cumin beef sauté filling by itself. It’s flavorful, filling, and delicious. 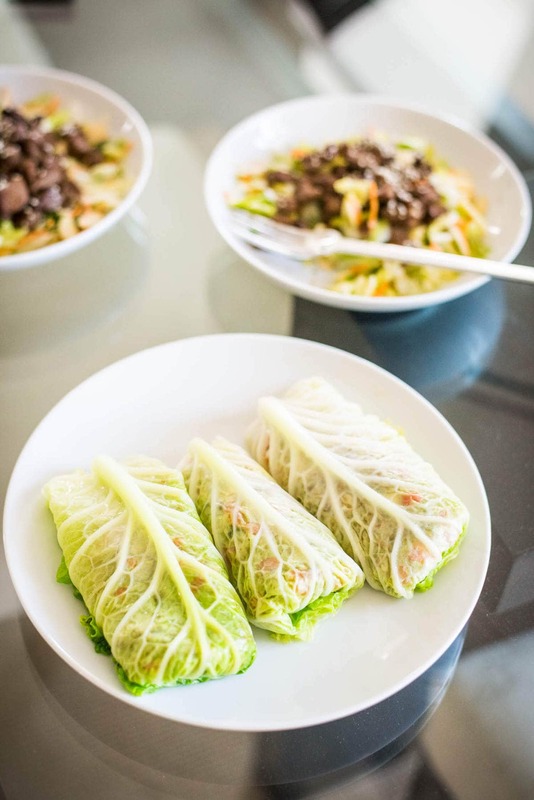 While lettuce is the most common type of wrap used in low carb meals (like in Kyndra’s Caesar Egg Salad Lettuce Wraps recipe), this recipe uses cabbage leaves that are blanched (plunged into boiling water and then cooled) as the wrap. I suggest using savoy or Napa cabbage (or Chinese cabbage) if you can find them as they’re a good size and work well as wraps. The blanched cabbage leaves are pretty soft and pliable and it’s easy to wrap the beef filling in them. 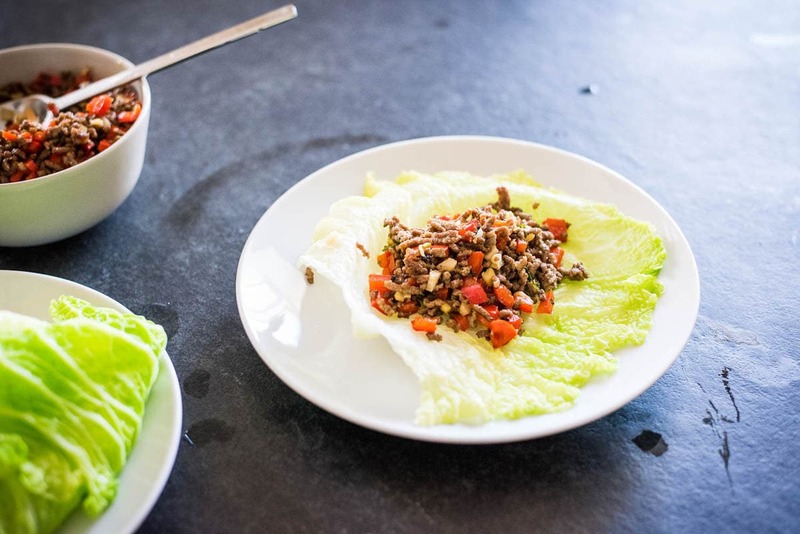 But if you prefer something that doesn’t require any cooking, you can also use lettuce leaves or other low carb wraps you have available. What’s great about this recipe is that it’s a complete meal in one dish. 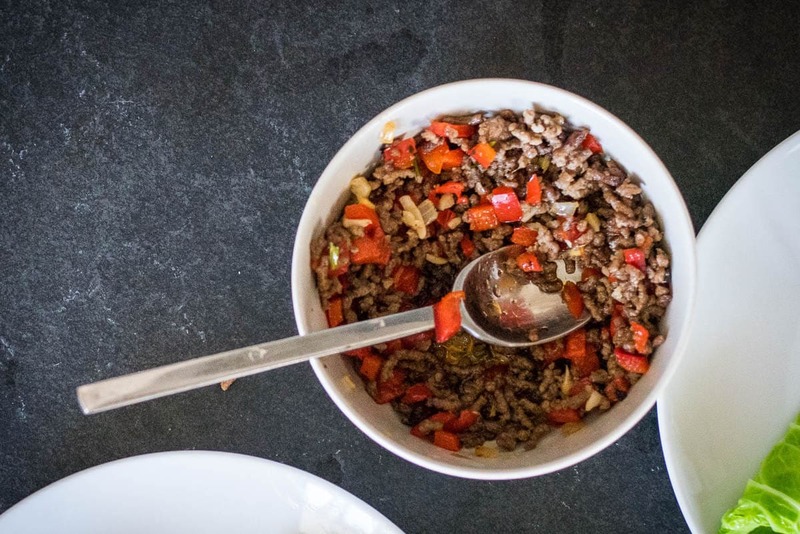 You get veggies, lots of flavor from the spices, garlic, ginger, and cilantro, healthy fats from the coconut oil and beef, and protein from the beef. Give it a try for a super fast low carb, ketogenic, or Paleo dinner – it takes less than 30 minutes to make from start to finish.